This week ended with me taking Friday off to take Simon to the hospital to have an MRI of his head. We're hoping this will provide us with answers as to why Simon has muscle issues (it might stem from his central nervous system since the muscle tests came back normal). He did great at the hospital and wasn't scared one bit. In fact he cried when we were trying to get him dressed to go home because he didn't want to leave. He's such a trooper. All the nurses loved him and thought he was just so darn cute. We're seeing the neurologist in a couple weeks so we should get results then. On to food that I made this week. I'm going to start with the best stir fry I have ever had. And boy am I glad there are leftovers!!! 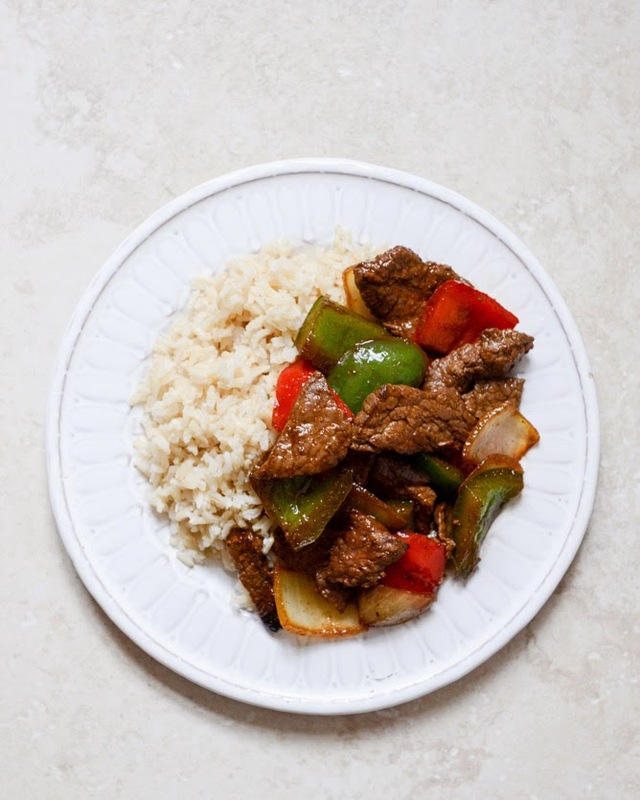 Chili garlic beef stir fry with coconut jasmine rice. Heaven in a dish. The coconut jasmine rice...hmmmmmmmmm. 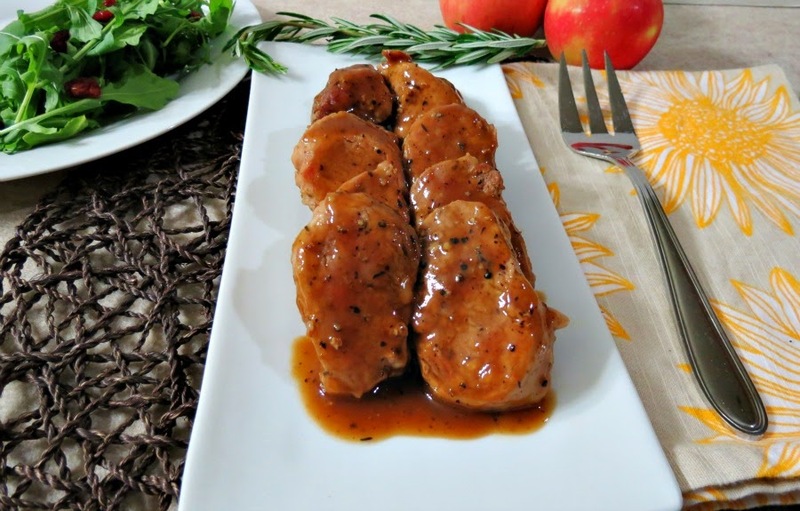 Isabella had a friend over Saturday afternooon/evening and I made apple maple glazed pork tenderloin. I served it with corn, green beans and roast potatoes. Isabella's friend said it was now her favourite thing to eat (before this, her fav was brie cheese). I was so happy that the kids ate everything on their plates and even asked for seconds. High five for me. It was a damn good meal if I do say so myself. 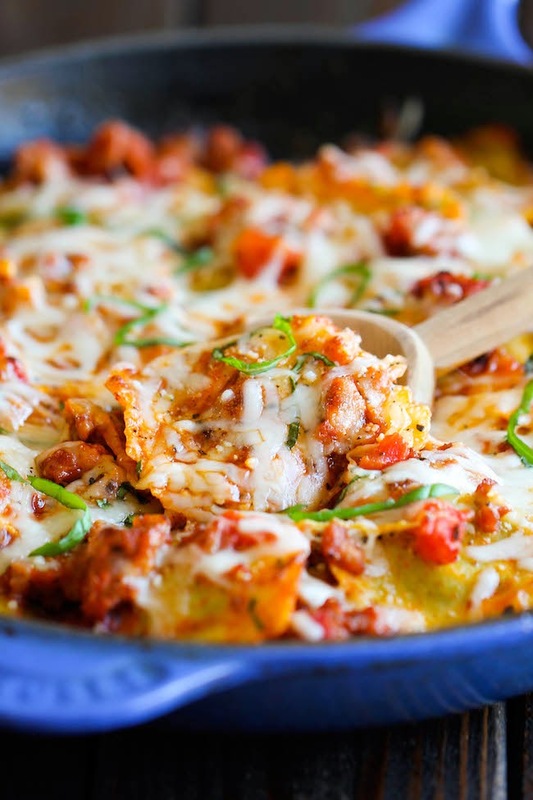 This next dish was really good and super easy to make and even Isabella (who is not a big pasta fan) loved it - ravioli and Italian sausage skillet. I will be making this again for sure. Lastly, I made a dish that I made a couple weeks ago and I have not been able to stop thinking about it since - cilantro lime chicken tacos. Easy and very fresh tasting. 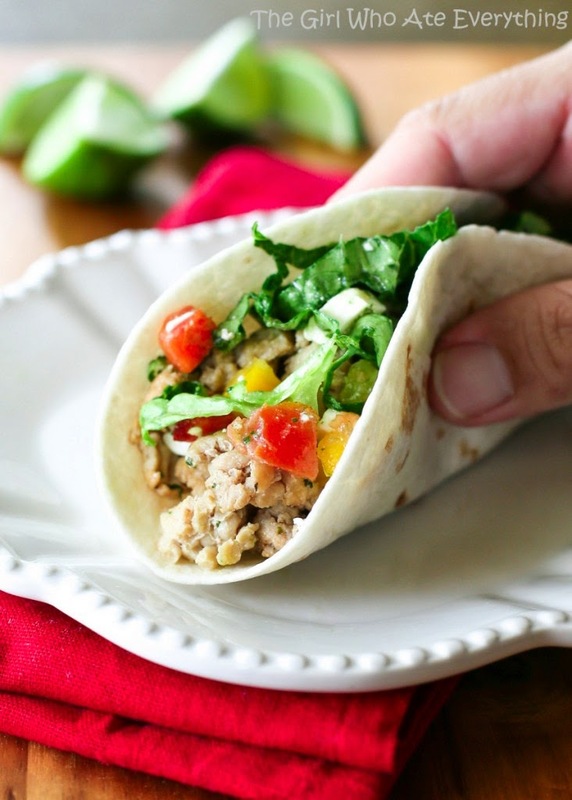 Yummy flavours and the chipotle chili makes this the perfect dish. 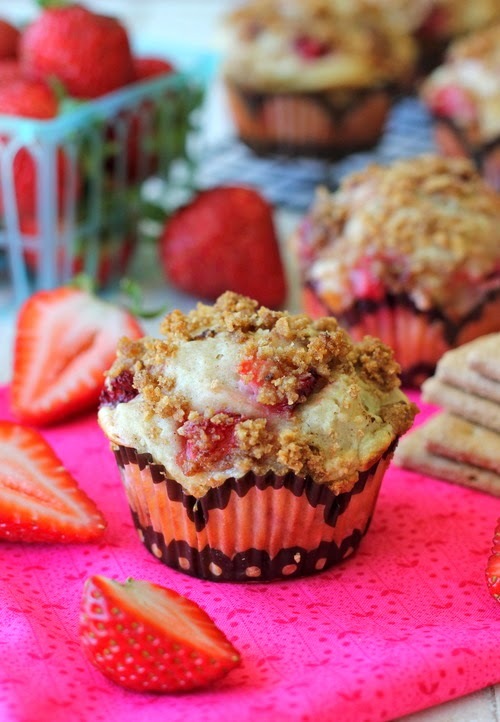 Needed to bake some muffins for the kids to bring to school this week and these strawberry cheesecake graham cracker muffins sounded too good to pass up. I hope they taste as good as they smell....(they just came out of the oven). 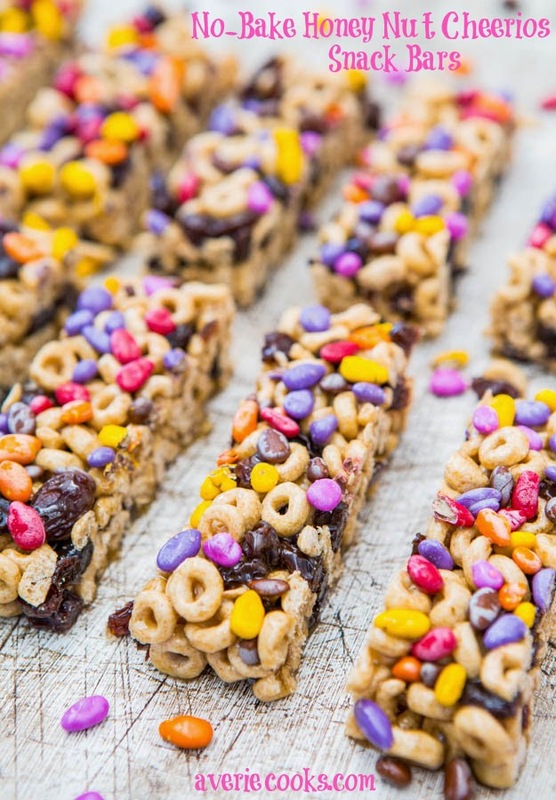 I didn't have time to make a fancy dessert today so no-bake honey nut cheerios snack bars won the coin toss. They are firming up in the fridge right now. I used a mixture of raisins and cranberries inside because the kids love them and a little sprinkle of sea salt on top. I'll be bringing some of this to work tomorrow when I get sleepy after lunch.